Project Management is often viewed as a specific profession, and it often is, complete with specific training and certifications. However, functionally, Business Continuity Managers, Enterprise Risk Managers, Vendor Management (often referred to as “Vendor Risk Management”) Managers, and IT Managers are also formally or informally “Project Managers.” Those managers, and managers in other related professions, do “project management” every single day. Additionally, those managers are often working on projects that require them to work together toward an organization’s common goals. For instance, before retiring from the position of VP/Manager of Business Continuity for Union Bank, N.A. 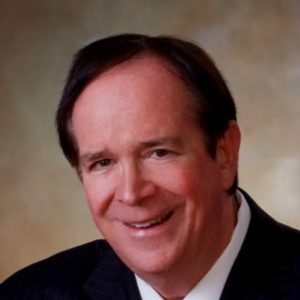 (now doing Business Continuity Consulting for large corporations as Barry Cardoza, LLC), it was not uncommon for me to be managing many projects at any given time. Those included projects to enhance our Enterprise Business Continuity Program, to install and manage new Business Continuity‐related software, to develop an Enterprise Contagion/Pandemic preparedness and response plan. I could not have managed any of those projects without working with many other areas of the institution. An example of how my “project management” often related directly to “project management” being done by other managers working toward a common institutional goal was when Union Bank created a project to put into place an enhanced and very comprehensive Vendor Risk Management Program. The overall “Project Manager” was very appropriately someone within the Vendor Management department. However, that person identified and included managers from many related areas of the institution including the Business Continuity Department, Enterprise Risk Department, IT Department, Legal Department and other areas of the institution. Each of those representatives with specific and unique specialties had to manage their own projects to produce results that would contribute to the overall enterprise‐wide Vendor Risk Management Program goals. 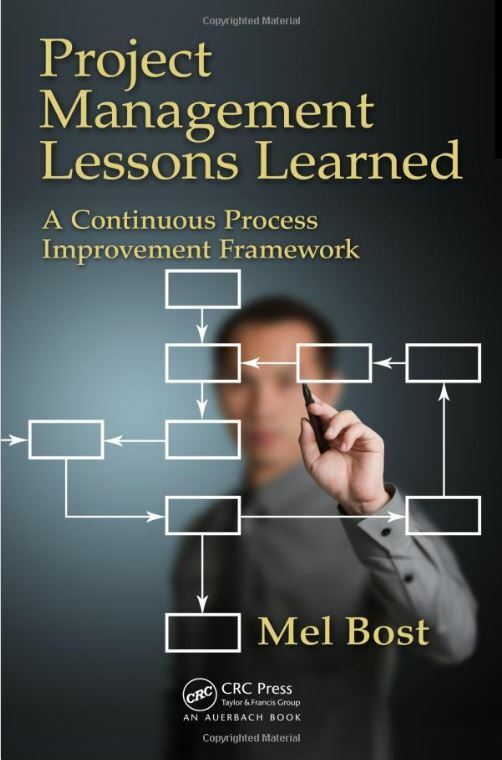 Mel Bost’s new and very excellent book Lessons Learned: Taking Project Management to a New Level in a Continuous Process Improvement Framework is something that I wish I would have been able to read a great many years ago. It definitely would have helped me to avoid “pitfalls” that I frequently encountered. For instance, just the book’s section on “Accidental Adversaries” covers potential “traps” encountered when multiple departments within an organization believe that they are working toward common goals, but find themselves in a situation where their own “view” of those goals may be in conflict with how other areas of the organization view those goals to be. 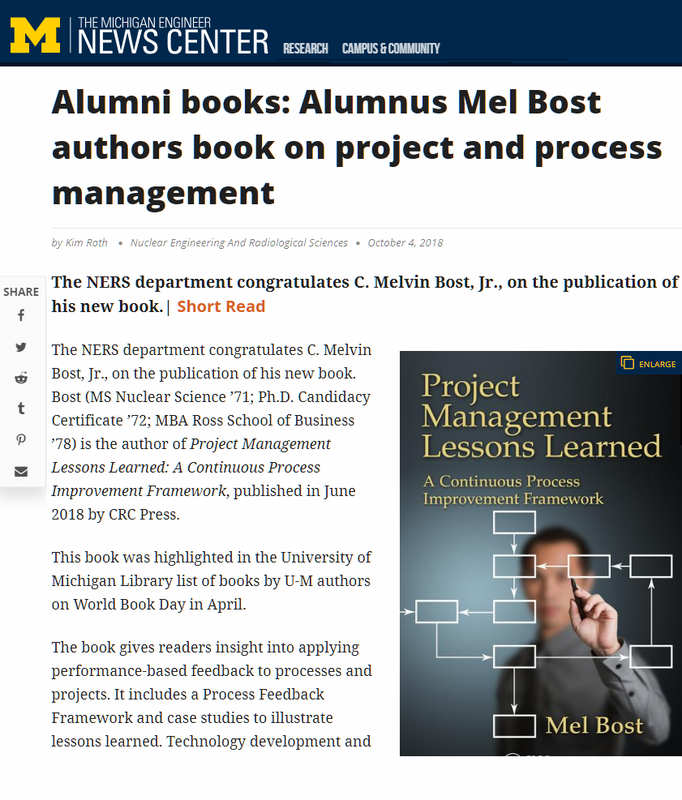 I ran into that situation frequently, while never thinking of the related departments being “Accidental Adversaries,” or having Mel’s very valuable advice on how to identify, avoid, and/or resolve those situations. All are examples are correct which is given below but also the Project Management is the application of knowledge skills & technique to execute projects effectively and efficiently.